Stop the EU’s Services Notification Procedure! Municipalism needs democratic space to protect the interests of citizens! 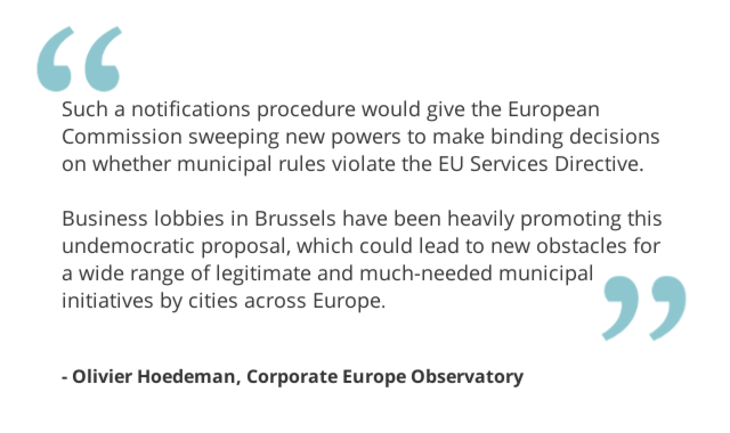 A coalition of more than 200 civil society groups, unions, mayors and progressive parties running major European cities has come out to oppose a controversial proposed EU directive that has been pushed by business lobbies and would create major new obstacles for progressive municipal policies and initiatives.